Michael Charny passed away on February 16, 2018 at the age of 96. He was born in New Britain a son of the late John and Meri (Domijan) Charny and had resided there most of his life. He worked as a carpenter and enjoyed raising and racing homing pigeons with his father, brothers and nephew. He also enjoyed going to the casino, playing cards and bingo. 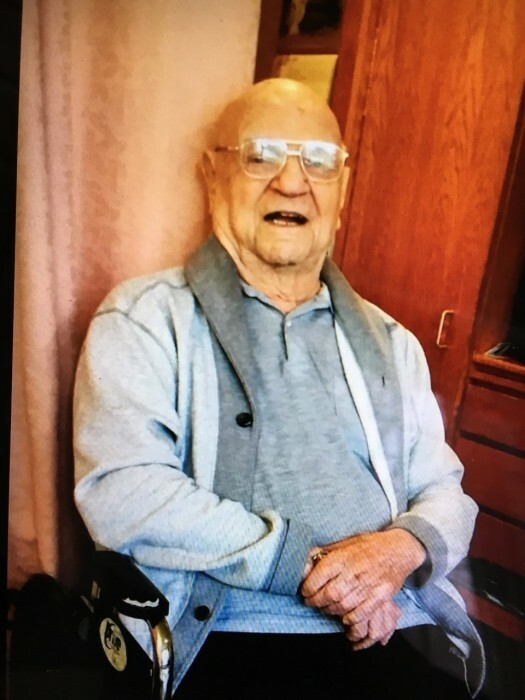 He leaves behind his beloved daughters: Gayle Spring of Berlin and Michele and son-in law Rusty White of Cheshire, a sister: Pauline Palmero of Wallingford and several grandchildren and great grandchildren. Besides his parents he was predeceased by his brothers: John, George (Jiggs) and Joey Charny, a sister: Mary Rund , his son-in-law: Butch Spring of Berlin and his beloved granddaughter: Alison. Funeral services are through Berlin Memorial Funeral Home and are private. There are no calling hours.